We supply an exclusive range of quality Sports Uniforms in various colors, styles and sizes. These uniforms are manufactured using fine fabric so as to provide optimum comfort to the wearer. 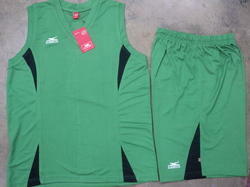 These uniforms can be used for various sports like hand ball, baseball, hockey and basketball. Furthermore, our range is comfortable to wear, sweat absorbent and is offered at market leading prices. We offer a wide range of Soccer Wears to our valuable customers. These Soccer Wears are made of polyester and stitched by using best quality threads and other material to ensure superior finish. 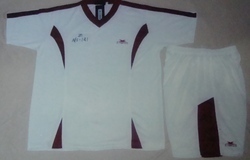 We also offer these Soccer Uniforms in customized sizes to fulfill the requirements of our clients.